Established in 1999, we’ve been around for awhile although you may have never come across us on the street….this is changing! Two Wheel Gear was started by Ken MacLean and Craig Coulombe in 1999. The two were University of Calgary roommates, who both started working downtown Calgary and cycling into the core. The goal was to get their gear off their backs by making a cycling pannier that could take their work clothes to the office wrinkle free….No Rolling, No Folding, No Sweaty Back Pack. 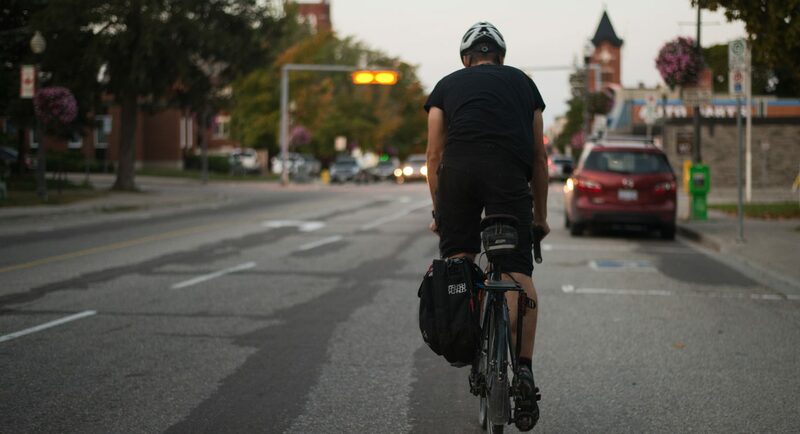 The result was the Two Wheel Gear commuter bike bag (aka: 2WG Commuter Pannier) and to the thousands of customers who have purchased our bags around the world….a better way of bicycle commuting was discovered. We are a local, Calgary [Update Sept. 2014: VANCOUVER!) company that primarily lives online shipping bags to happy commuters in Canada, U.S., Australia, New Zealand and throughout Western Europe. Skip ahead a few years and meet Reid Hemsing and Mike Mazur…bike commuters, entrepreneurs and Mount Royal University graduate pals. Our company carries on the legacy that Ken and Craig started back in 1999 and its growing! We still produce the iconic bike suit bags our company was founded on and we have some new amazing products in the works. Check us out online or wave me down cruising the local Calgary streets! Shoot us an email to find out more for yourself (info@twowheelgear.com)! Previous Commuter Bicycle Pannier. Carry Your Suit. Carry Everything.